Former Jersey forward Latu Makaafi scored two tries against his former side as Doncaster beat the islanders 31-27 in the Championship. Jersey led 20-16 at half-time with tries from Nick Haining and Ignacio Lancuba and two Brendan Cope penalties, Doncaster responding with Makaafi's try and 11 points from Dougie Flockhart. Tom Howe's try put Jersey 27-16 up after 42 minutes. But tries from Makaafi and Sam Edgerley helped Doncaster come back to win. 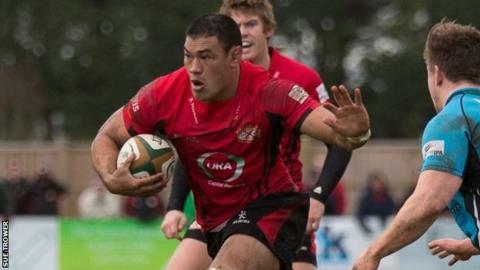 The loss was Jersey's second defeat in Yorkshire in 14 days after being beaten 39-22 at Yorkshire Carnegie.